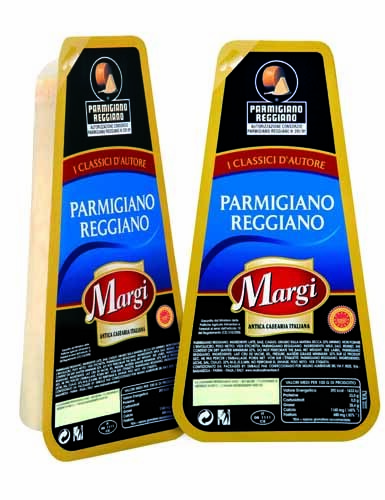 Parmigiano Reggiano Margi 30 months vacuum packed 200 g.
The excellence of Parmigiano Reggiano, carefully selected amongst the best of production, with a 30 month minimum aging guarantee. 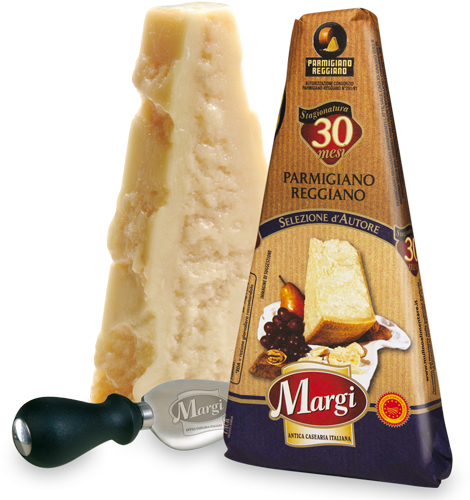 Its typical and unique taste as well as its wise aging represent the pride of our Margi property brand product line. 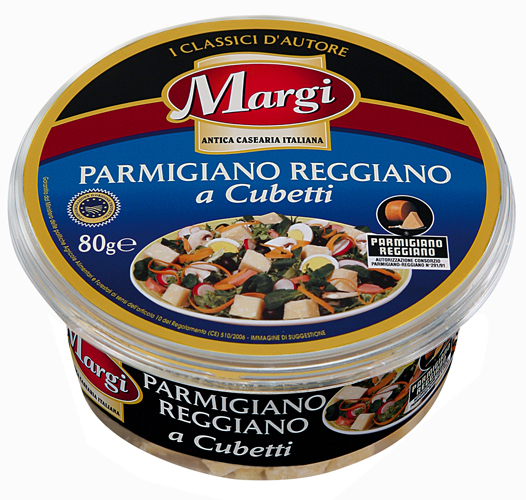 Rigorously hand cut in its typical wedge shape, vacuum packed and at a later stage hand wrapped. 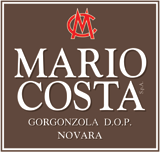 Delicious as it is, it can also be matched with Modena balsamic vinegar, grapes, pears, walnuts and strawberries. 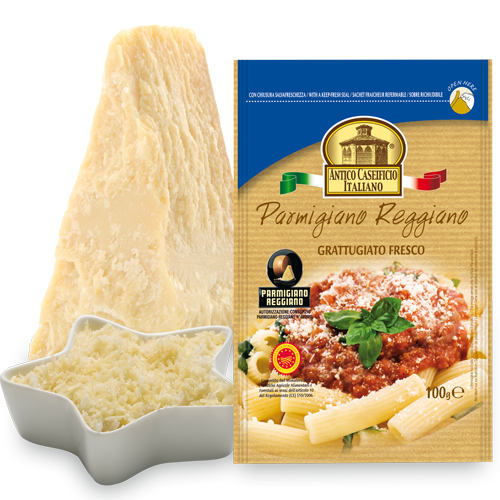 If grated it will highlight the taste of your dishes and can be easily combined both with full-bodied and delicate wines. 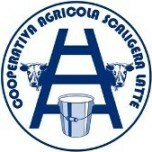 Please fill out this form to contact Mulino Alimentare directly. 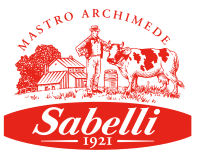 Mulino Alimentare was founded in 1991 by a group of businessman extraneous to the milk and dairy product sector, with the purpose to take over plants and trademark part of a company called “Il Mulino”. 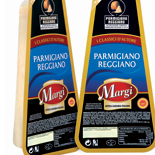 Our business exclusively targets to production and packaging of hard cheeses, especially Parmigiano Reggiano, in all its different size and aging. 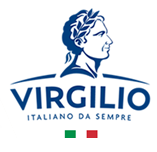 In September 1993, the company carried out the operation that made the positive trend of these last years possible: the agreement for the purchase of two property brands: “FORMAGGERIA REGGIANA”and “ANTICO CASEIFICIO ITALIANO”, added to the old brand name “IL MULINO”. 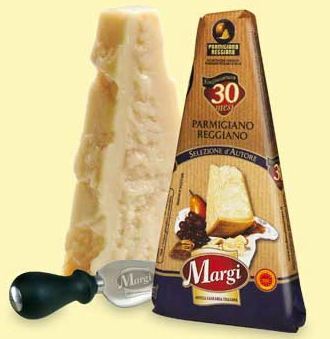 In the first months of 1997, the company achieved a strict trade agreement with an important “GRANA PADANO” manufacturing company, increasing its growth potentiality and enhancing customer service. 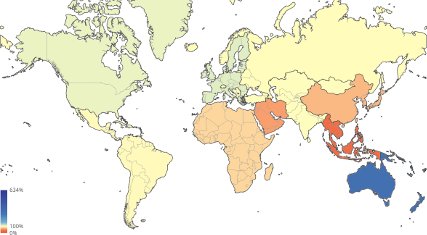 After a decade of strong growth and successful results, the company property, modified and strengthened in all its parts, decided to undertake a development plan with relevant investments. 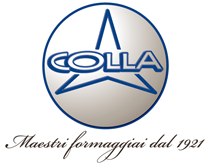 In December 2007, the whole company was moved to Via Fortunato Rizzi 9/a, Baganzola, nearby Parma. The new plant was provided with state-of-the-art machineries for cutting, grating and for enabling vacuum and protective atmosphere packing. 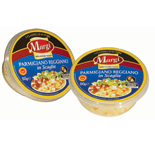 Our packaging lines guarantee high sanitary standards and a strict supervision about the quality of the processed products; for this reason in June 2011, the company was awarded the certification of process BRC vers4-grade A ane IFS vers5 higher level. 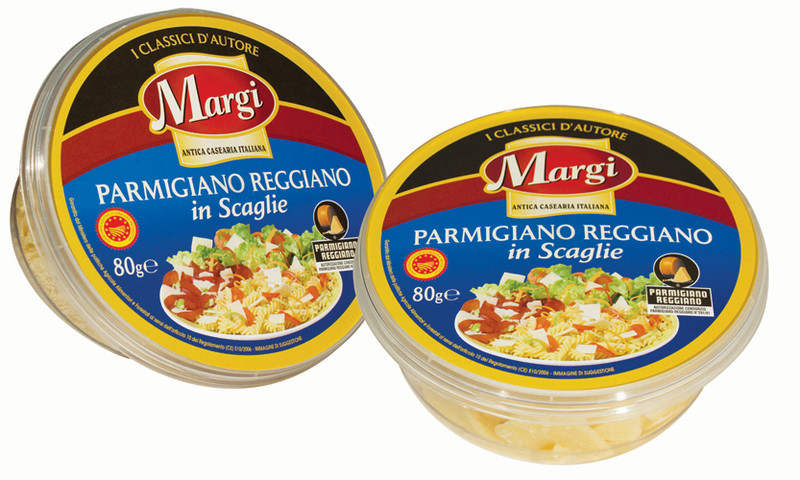 MARGI: Offering a range of high quality products, mainly directed to Italian and foreign GDO. 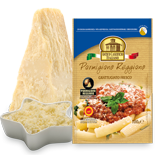 BONITO CLUB: Offering a range of products made of “PARMIGIANO REGGIANO” dedicated to the world of early childhood . Both brands became part of the existing line in order to offer a complete selection of products, becoming a diamond point of our production. 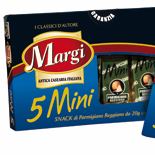 In 2010, in the middle of a general economic crisis, but also after a strong change in the company structure, Mulino Alimentare increased its sales volume thanks to a customer oriented developing strategy, guaranteeing more and more qualified products and services. 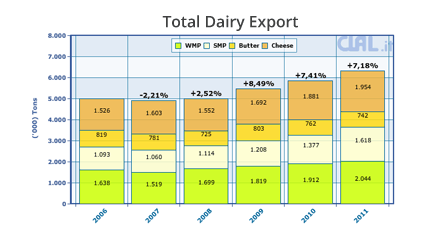 Export contributes to increase sales volumes, where we are obtaining the best results thanks to more and more complete range of products, besides traditional grated cheese that represent a high percentage of our turnover. The secret of this leading position is to be researched in the quality of our products, in the safety of our machineries and working process, but above all in the reactivity and professional skills of our human resources. 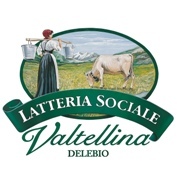 In January 2012 Mulino Alimentare SPA employ about 75 workers and develops its activity on a 6500 mq real estate area, besides hiring warehouses for storage of cheese about to be matured or processed. The new industrial site, with its about 8000 ton. 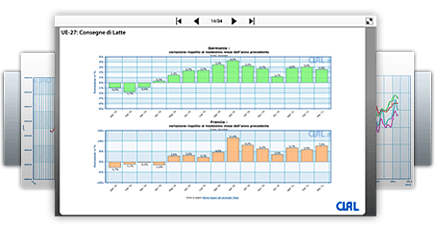 packed output, represents the strengths of a developing strategy for our company establishing an integrated facility for the Parmigiano Reggiano supply chain, with its dairy factory and warehouse for the aging process. 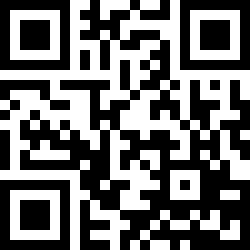 Sales force presently involved is composed by a network of technically skilled representatives, assisted and managed in their work by a brilliant and dynamic sales office. 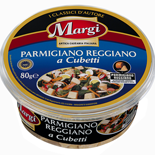 Our turnover, about 45 million € in 2012, is focused on high content services, like grated and shaved cheese and other specialties in re-sealable pack, single-dose for Catering and collective food service. 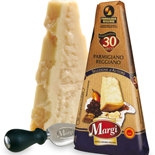 CLAL focus on: Parmigiano Reggiano Margi 30 mesi sottovuoto da 200 g.